All pre-registered runners will receive a short sleeve Freedom 5K shirt. Note: t-shirts are not guaranteed to late registrants or race day registrants. Once you cross that finish line you’ll be handed an awesome Freedom 5k finisher medal! Enjoy the morning and refuel with our post race refreshments. Check it out ahead of time to see where you’ll be running! There will be awards for the top 3 overall male and female finishers and awards for the top 3 in each age group: 14 & under, 15-19, 20-24, 25-29, 30-34, 35-39, 40-44, 45-49, 50-54, 55-59, 60-64, 65-69, 70-74, and 75 & over. Free race photos will be available for download after the race. We will send an email notifying you when the pictures are available. Keep an eye out for our on course/finish line photographer and be prepared to strike a pose! Photos will be searchable by bib number. For best results please wear your bib on your front, outer most layer. This will also help ensure accurate timing. The kids’ tot trot will be a couple hundred yards long and will begin at 8:50 am. All finishers will receive a bib and medal! Registration is free and on-site the day of the race. There is a 60 minute time limit for the 5k – this means one must maintain ~19 minute miles. The course is not stroller-friendly. Medical and First Aid provided by the Fair Oaks Volunteer Fire Department. 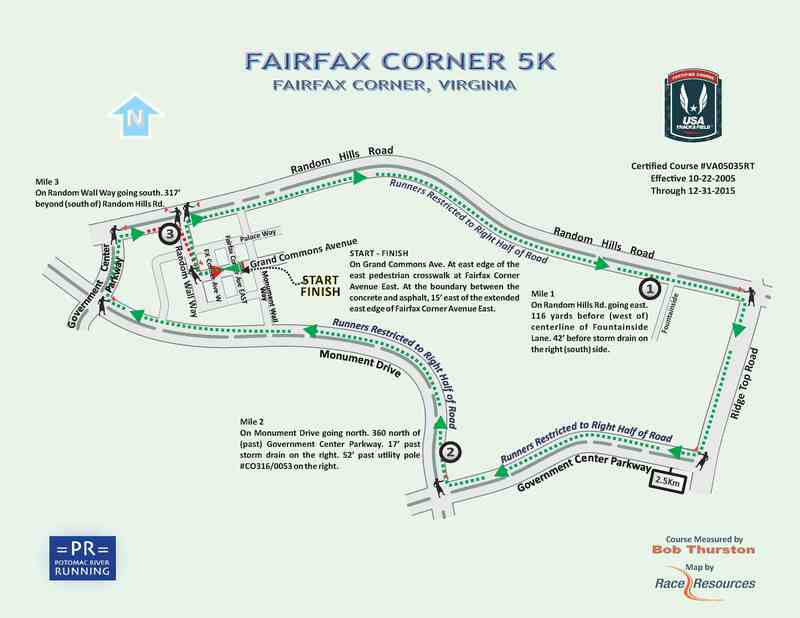 NOTE: For the safety for all participants there are no strollers or dogs allowed on the race course. For any event on a public school property no animals are permitted, per county policy.